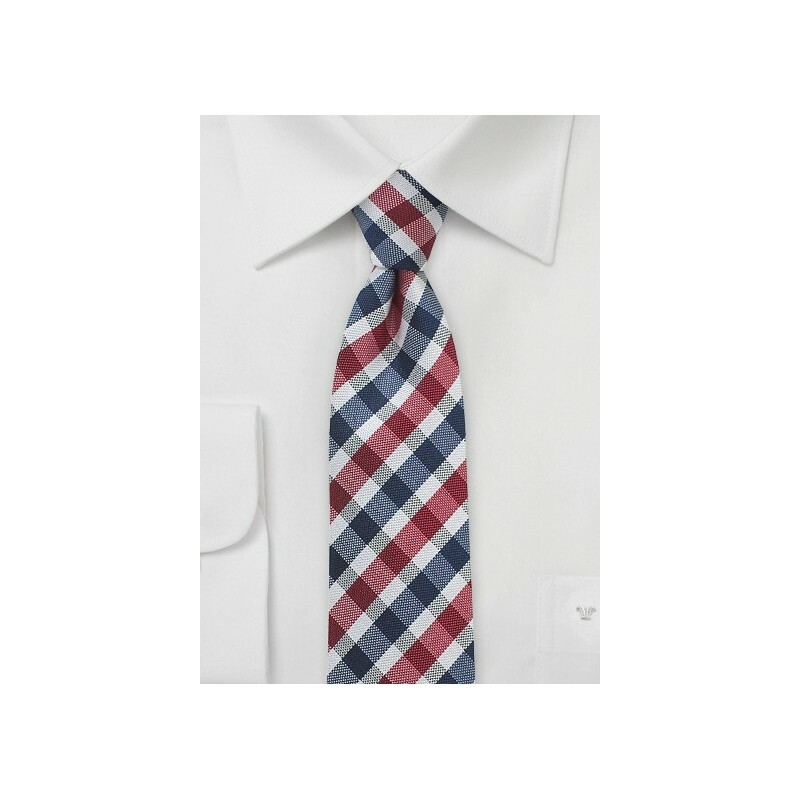 Add some classic coolness to your menswear Summer basics with this cleverly designed and crafted Gingham Skinny Tie in Navy and Red. This dynamite accessory is a standout design from the Blackbird Luxury Menswear Line and is made from pure silk. 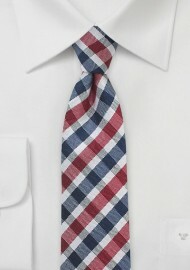 We love the color combination of this all Americana necktie and recommend teaming it with proper whites and tonal blues. This popular accessory is also available in other color ways.